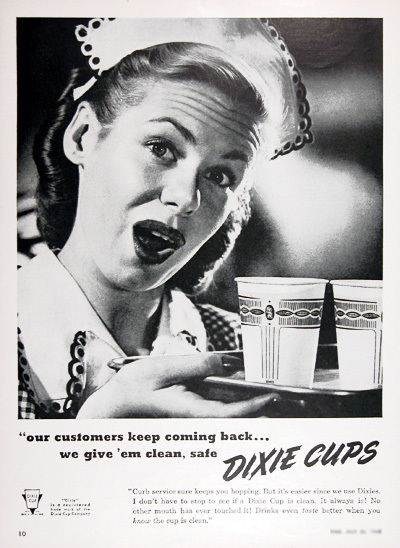 1948 Dixie Cups original vintage advertisement. Our customers keep coming back, we give 'em clean, safe Dixie Cups. Curb service sure keeps you hopping. But it's easier since we use Dixies. I don't have to stop to see if a Dixie cup is clean. It always is! No other mouth has ever touched it. Drinks even taste better when you know the cup is clean.